Ka’ana Resort is the perfect destination for those who want to adventure during the day and come back to a place of sanctuary at night. 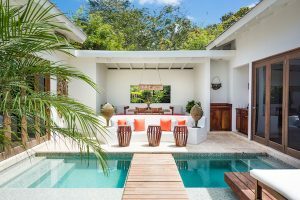 An award-winning, 5-star boutique resort in Belize’s Mayan jungle, Ka’ana is all about luxury accommodation, adventure and bespoke packages for every type of traveler. 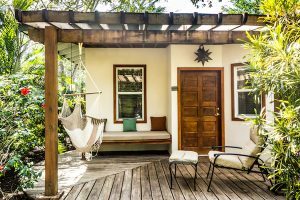 This upscale outpost is authentically Belize, and the personalized service is second to none. For wellness seekers like ourselves, the resort goes above and beyond to curate experiences; we were delighted by snorkeling at Ambergris Caye, private yoga sessions at Maya ruins and sunset meditation. Each guest is paired with an “adventure specialist” and tours are private, never shared. Whether your thing is archaeology, caving, and spelunking, exploring pristine jungles, culture, history or romance, Belize is an adventurer’s paradise. As a small, intimate resort, Ka’ana does an incredible job of connecting guests with their desires, from sunrise to sunset, and making you feel like part of the family. The Spa is laid back, with local ingredients sourced from the on-property garden and surrounding areas. Along with a traditional spa menu, they offer specialty treatments specific to the area such Maya Abdominal Massage (highly recommend!). 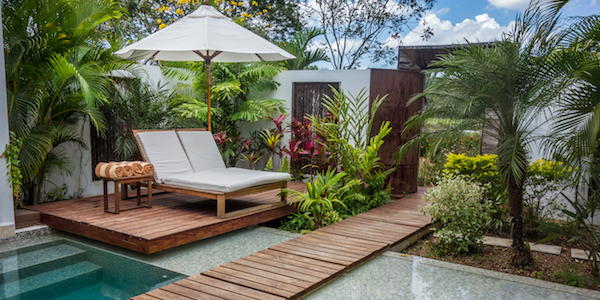 The suites are stunning, offering privacy, lush gardens, and outdoor showers, but we recommend you spring for a pool villa for seclusion and plush “I deserve this” luxury. The private butler, pool and California king bed will have you in a Zen mindset from the moment you enter. An all-inclusive experience to revitalize your mind, body, and soul. Take a journey into the lush jungles of Belize to reduce stress and nourish your spirit with the ultimate all-inclusive escape.